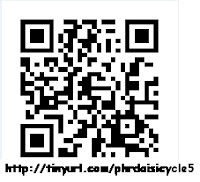 The PHRD AISI Cycle 5 Coaching team is looking forward to presenting at the annual AISI Conference on February 11, 2013. It is an honour to work and learn alongside our many colleagues in Pembina Hills. â¦The more we âmanageâ studentsâ behavior and try to make them do what we say, the more difficult it is for them to become morally sophisticated people who think for themselves and care about others. Â· Have a strong rational for differentiating instruction based on student readiness, interest and learning profile. When we present procedures and routines as a way to promote student success, students are more inclined to follow them. Â· Give the students a voice. Create a student driven classroom by involving students in important decisions about processes and procedures. Â· Begin differentiating at a pace that is comfortable for you. Starting slow will provide the time you need to practice expectations and routines with your students. Â· Have a plan for quick finishers. Use an anchor activity to keep students engaged when they are done earlier than their peers. Â· Create and deliver instructions carefully. Make sure students know exactly what is expected. Specify a time limit for movement and activities. Directions for transitions need to be given with clarity and urgency. Â· Provide students with a plan for getting help when youâre busy with another student or group.